[ Qoreader Blog ]: [Project] Free Bahasa Indonesian Course Directly with Me on Yahoo Messenger. 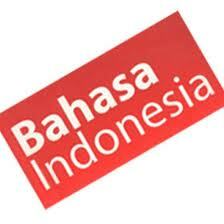 [Project] Free Bahasa Indonesian Course Directly with Me on Yahoo Messenger. As Indonesian native speaker. I think i can teach Indonesian to everybody who want to start learning Indonesian. Here in this post, i want to share my knoledge about Indonesian languange "Bahasa Indonesia", cultures and other via internet.